players and mechanics. SsangYong also introduced a special customised edition, Tivoli Armour Gear Edition wherein consumers can customise various features of the car such as wheels, colors, and lamps for the first time in the Korean industry. 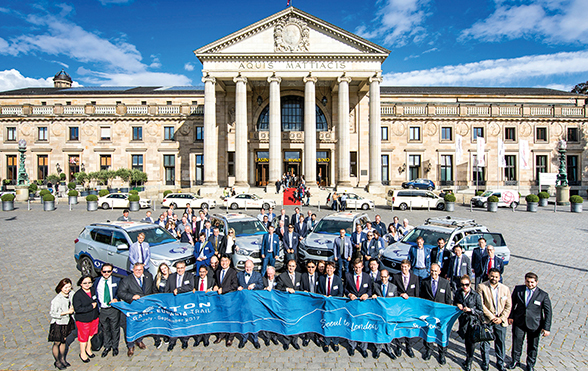 SsangYong recently held its 2017 Global Distributor Conference in Frankfurt, Germany in September in-line with the 2017 Frankfurt Motor Show (IAA). It aimed at strengthening co-operation with its global sales network ahead of the G4 Rexton’s launch in the European market through the motor show and regional launch events. SsangYong successfully completed the grand finale of the G4 Rexton Trans-Eurasia Trail which took over 50 days from July to September. The Rexton Trans-Eurasia Trail Team kicked off in China on August 11, 2017 and has driven a total of six courses 13,000km by arriving in Wiesbaden, Germany on September 11, 2017. The team, consisting of 30 automobile journalists and dealers from various countries, passed through 23 cities in 10 countries including China, Kazakhstan, Russia, Lithuania, Poland, Germany, East Asia and Western Europe. 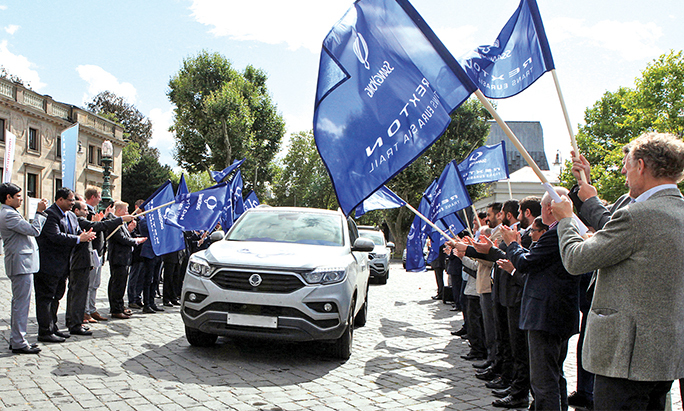 Johng-sik Choi, CEO of SsangYong Motor drove the G4 Rexton at the ceremony to celebrate the successful completion of G4 Rexton Trans-Eurasia Trail in Wiesbaden, Germany. 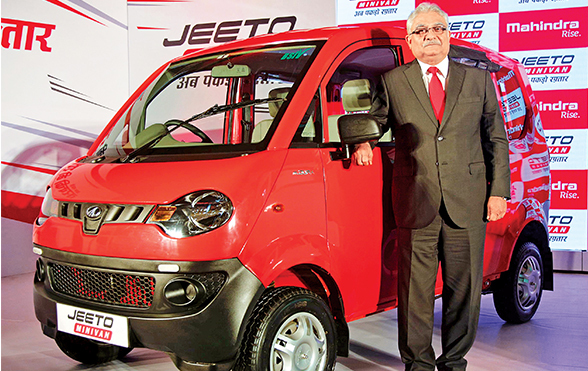 Mahindra & Mahindra Ltd. launched the Jeeto Minivan, a stylish and comfortable passenger carrier developed on the successful Jeeto platform. The Jeeto Minivan is best suited for urban and semi urban modes of transportation and will cater to last mile connectivity, contract and stage carriage use for tour/ travel purposes and intra-city people movement. In September, 2017, the Mahindra Group and Ford Motor Company agreed to explore a strategic alliance, designed to leverage the benefits of Ford’s global reach and expertise and Mahindra’s scale in India and successful operating model. The agreement between the two companies will allow each to leverage their mutual strengths during a period of unprecedented transformation in the global automotive industry. TRRINGO, India’s foremost organised rental services for tractors and agricultural equipment and part of the $19 billion Mahindra Group, has announced a 60% increase in farmer flow in the first quarter of FY2018 over FY2017. As its next milestone, TRRINGO aims to add value to 1 million farmers in the next one year. Developed at Mahindra Research Valley in Chennai, the Driverless Tractor technology is set to take farm mechanisation to new heights. With this launch, Mahindra becomes the pioneer in the Indian tractor industry with the unique proposition of a driverless tractor. This innovation will change the future of farming by increasing productivity, leading to increased food production to feed the growing needs of the world. Construction Equipment has won the Construction Times Award for the Mahindra RoadMaster-G75. This was under the Innovative Construction Equipment Product of the year Category and was received by Maruti Mathur, Senior GM, Channel and Institutional Business along with Rahul Khedekar, Rahul Joshi and Nandkumar Walve. 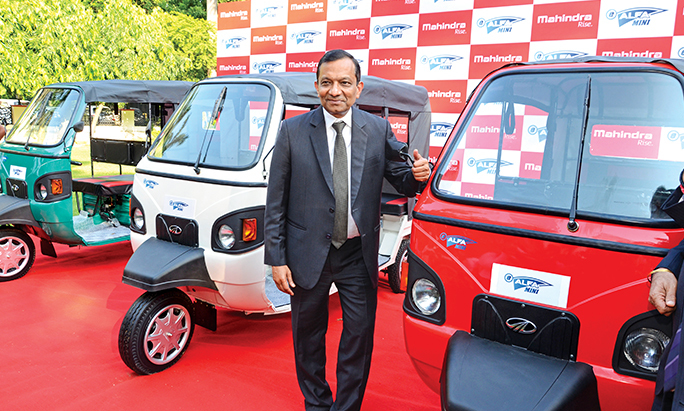 A complete three-wheeler, specifically designed for pollution free last mile connectivity has been launched and it boasts of the tough and rugged Mahindra DNA. The e-Alfa Mini, with a 4+1 seating capacity is a comprehensive mode of transportation designed specifically for Indian conditions. 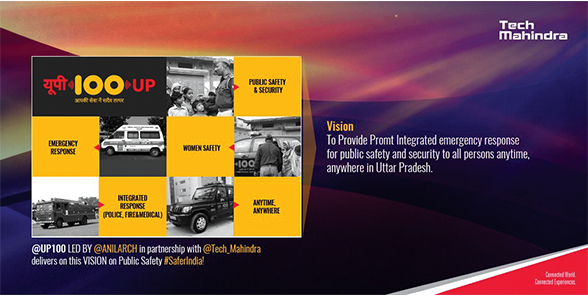 It will further drive Mahindra’s vision of the Future of Mobility. Mahindra & Mahindra Ltd. has announced its second foray into Turkey through the acquisition of Erkunt Traktor Sanayii A.S. (Erkunt), the 4th largest tractor brand in Turkey. This transaction is expected to close by the last quarter of calendar year 2017. This association with Erkunt, on the back of the Hisarlar acquisition earlier in the year, will help in growing Mahindra’s farm equipment business in the strategic market of Turkey. In August, Mahindra and Mahindra Ltd. announced a new strategic direction for its subsidiary, Mahindra Gujarat Tractors Limited (MGTL), now renamed as Gromax Agri Equipment Limited. 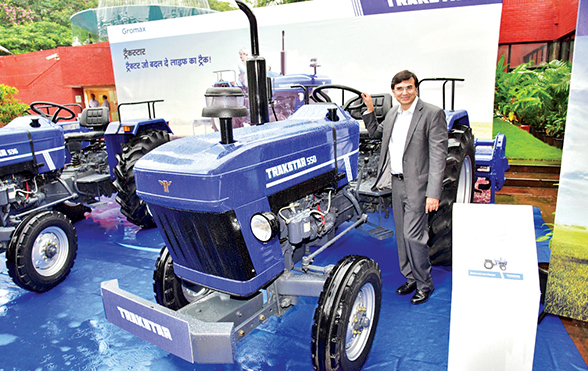 As part of the renewed strategy Gromax announced the launch of its all new tractor brand, Trakstar. This brand will focus on value seeking farmers and enable them to enhance their prosperity. 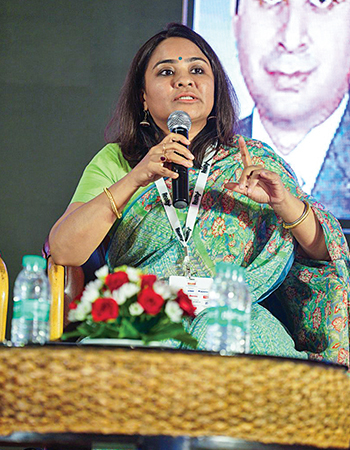 Mahindra First Choice Wheels Limited (MFCWL) hosted the 4th Autoremarketing Forum on September 12, 2017 at the ITC Grand Maratha Hotel in Mumbai. 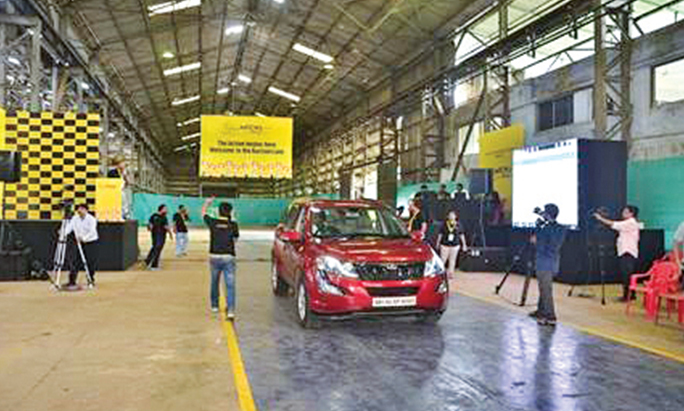 The event is a platform to showcase the pace at which the used car industry is growing. 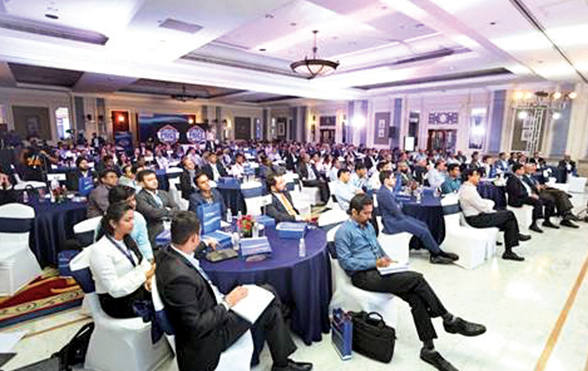 It saw a footfall of about 300 people which included people from across industries like new car manufacturers, banks, NBFCs, insurance companies, dealers and analysts. Mahindra First Choice Wheels Ltd.’s division eDiig Auctions initiated in-lane auctions (a first of its kind in India) on August 17, 2017. The platform saw multi seller SIMULCAST (live streaming) auction enabling both open and online participation of the buyers, resulting in better price realisation for vehicles. MFCS Mega Summit 2017 was organised from September 4-6, 2017, which saw employees come together to Regroup, Review, Reward & Recharge. A new organisation structure for MFCS was launched during the event. This was followed by a Town Hall with the Leadership Team to address employee queries. Functional Orientation for employees was also conducted to align them with new roles and responsibilities. representatives of multiple Korean companies. 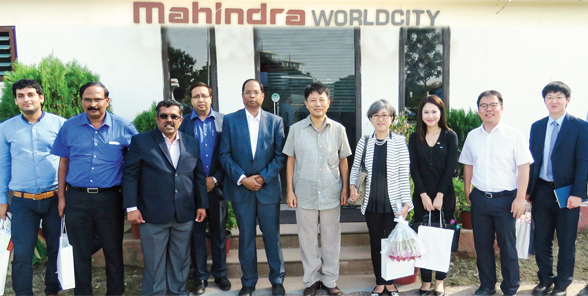 The delegation visited MWC Jaipur as part of a ‘Caravan’ in Rajasthan, an annual series of business meets and cultural evenings being organised by South Korea. session of the conclave. 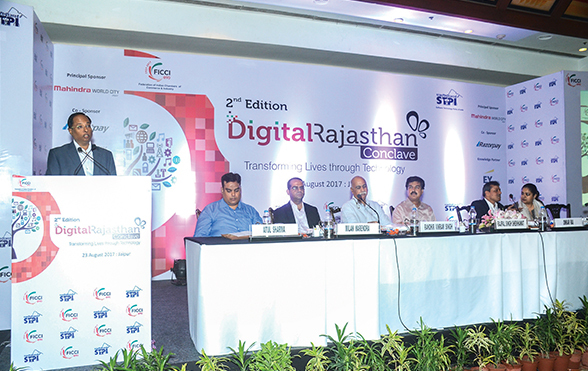 Other important speakers included Rajpal Singh Shekhawat - Minister for Industries, Government of Rajasthan; Mugdha Sinha – MD, RIICO, Government of Rajasthan; Randhir Vikram Singh – Co-Chairman, FICCI; Milan Narendra – Partner, Ernst & Young and Dr. Omkar Rai – Director General, STPI. a) Appirio Cloud Solutions, an IT company which provides social, mobile, cloud and crowd sourcing services, has taken up an additional built-up space of ~20,000 sq. ft. at the IT/ITeS SEZ in MWC Jaipur. 10,000-sq. ft. built-up space at Evolve, the IT Park located in the IT/ITeS SEZ of the integrated city. c) Delhi Trading Corporation’s Group Company, Vikas Steels has taken up a 1.5-acre plot in Phase II of MWC Jaipur’s Domestic Tariff Area (DTA). Vikas Steels’ facility in MWC Jaipur will serve as a warehouse for the cutting and bending of steel products. 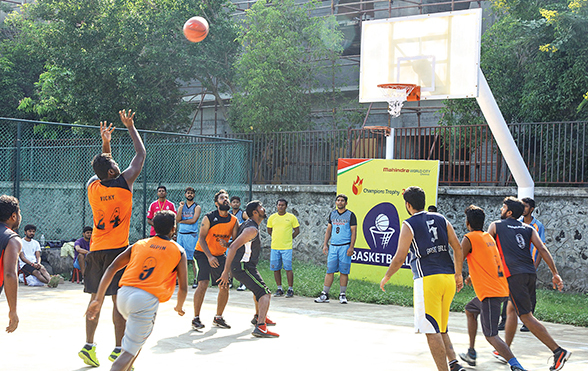 The sixth edition of the MWC Champions Trophy - the annual sports event of Mahindra World City, Chennai - was held from September 16 – 24, 2017 and witnessed participation by more than 250 people. MWC Chennai has been honoured with the MEPZ’s Export Excellence Award across two different categories. It reigned supreme in the Highest Exports in SEZ Developer Category (2015-16) and was a Runner up in the Highest Employment in SEZ Developer Category (2014-15). MWC Chennai, was conferred the Bureaucracy Today - CSR Excellence Award 2017 in the category of ‘Waste Management’. The Bureaucracy Today-CSR Excellence Award aims to acknowledge exemplary CSR activities undertaken by corporate India. In September, Mahindra Lifespaces and International Finance Corporation (IFC), a member of the World Bank Group, announced a partnership for the development of multiple industrial parks across Gujarat, Rajasthan and Maharashtra. The partnership envisages investment across Mahindra Lifespaces’ existing and upcoming industrial park projects, with its first investment in an approximately 350-acre industrial park near Ahmedabad. The proposed industrial parks will provide impetus to the ‘Make In India’ initiative, and will be located in areas that have significant potential for large-scale industrial infrastructure creation. These industrial parks will offer plug-and- play ecosystems encompassing world class infrastructure and utilities, to enable faster go-to- market for large businesses, while also making available critical manufacturing infrastructure for small and medium businesses. 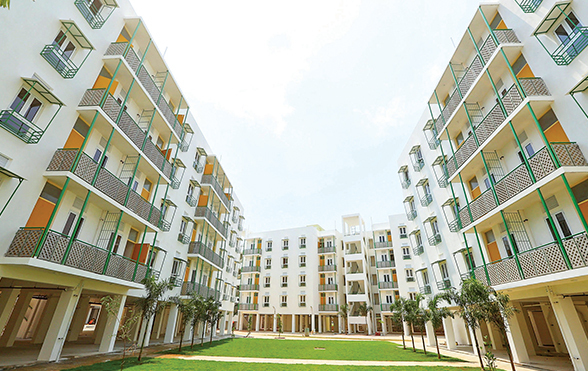 Happinest, Avadi by Mahindra Lifespaces has been conferred with India’s first Indian Green Building Council (IGBC) Platinum certification for Green Affordable Housing. The certification is a part of the Council’s Green Affordable Housing rating system, and is conferred on residential projects that have been designed and developed to meet high standards of environmental and human health performance, thereby delivering a better quality of life. Mahindra Holidays, has been bestowed with the prestigious Golden Peacock Award for Sustainability 2017. 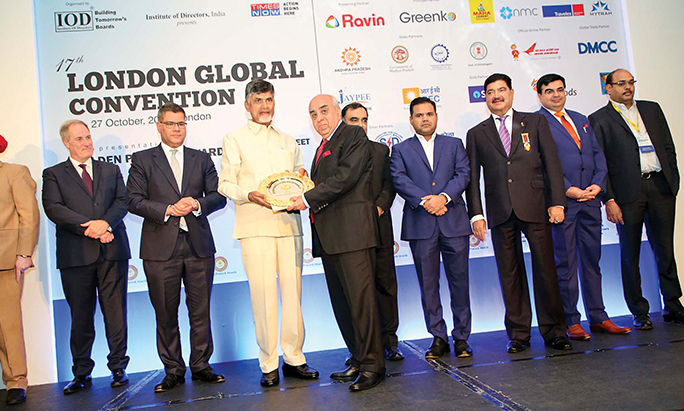 The award was received by Arun Nanda, Chairman, Mahindra Holidays at a glittering ceremony in London. The Company has implemented a robust sustainability practice across its network of 50 resorts in India and abroad. Some of the key areas that the Company has been working on include carbon footprint measurement, conservation of biodiversity and assessment, environment, energy, water and community development. The TISS LeapVault CLO Awards are one of the most prestigious awards in India, recognising excellence in Corporate Learning, Leadership Development, Training and Coaching. At its sixth edition, Mahindra Holidays was awarded the Gold Award for the ‘Best Program for Sales Enablement’. 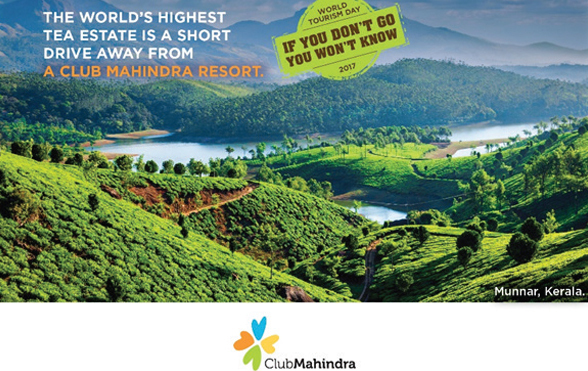 With the aim to create intrigue around unique holiday destinations and sow the seed of holidaying in the mindset of the Indian traveller, Club Mahindra launched a campaign on World Tourism Day titled – ‘If You Don’t Go, You Wouldn’t Know’. 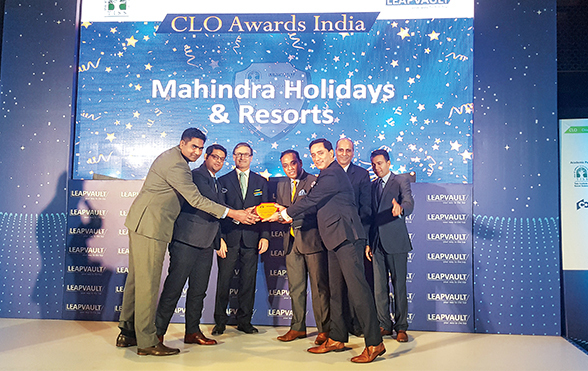 The objective was to showcase Club Mahindra as the best holiday partner with a wide network of resorts at the most unique destinations. Mahindra Defence Naval Systems (MDNS) made another splash in the underwater systems domain by granting a new lease of life to the non-operational, corroded and deformed Heavy Weight Torpedo Tube Launchers of a frontline destroyer warship of the Eastern Fleet based at Visakhapatnam. The replacement was extremely challenging in absence of design details and manufacturing drawings. However, the MDNS team’s innovative procedures successfully provided a viable solution. Mahindra Defence Naval Systems has partnered with Ultra Electronics Command and Sonar Systems (UECSS), UK and Ultra Electronics Maritime Systems (UEMS), Canada to supply 12 sets of the new generation Torpedo Defence Systems to the Indian Navy. 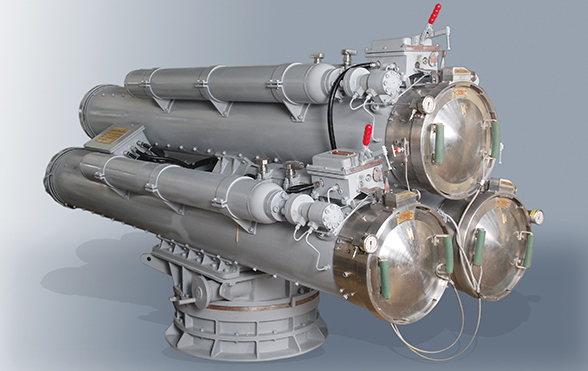 The New Torpedo Defence System (NTDS) is designed for multi-platform deployment. The Indian Army decided to upgrade the existing fleet of BMP 2 ICV so that it remains operationally viable for the balance of its service life. After technical evaluation of proposals, six Indian companies including Mahindra Defence Systems were awarded the contract for the mobility upgrade of one BMP2 each. Mahindra Defence System took up the challenge and was the only company which completed the mobility upgrade in 400 days. India. With the announcement of this Power Profiles list, he has joined the likes of Narendra Modi, PM of India; Shashi Tharoor, MP and Chairman of the Parliamentary Committee for External Affairs and other leaders. 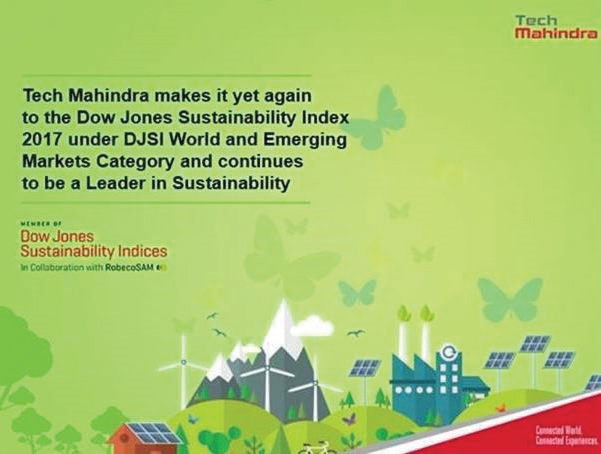 Tech Mahindra has once again retained its ranking in the Dow Jones Sustainability Index under both the DJSI World category and the DJSI Emerging Markets 2017 category. The Company is one amongst four companies from India to make it to the DJSI World Index and one of the eleven Indian companies in the Emerging markets category. Tech Mahindra participated in The Wall Street Journal (WSJ) CEO Council Annual Meeting in Washington DC, held from November 13th to 14th, 2017. The Company got a great opportunity to engage with 100+ most powerful CEOs over two days. Tech Mahindra’s signature narrative this year was on ‘Unlock experiences for a Connected Future’. 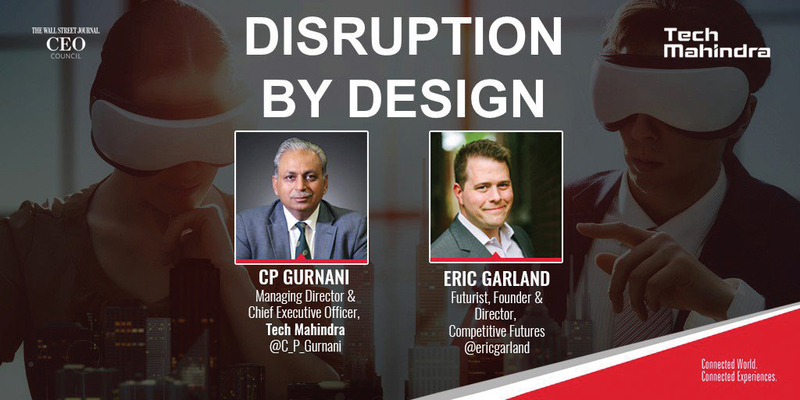 The Tech Mahindra Leadership team engaged with several CEOs in one on one meetings, active opportunities discussions, elevating the conversation from technology to business and how Tech Mahindra can help transform their business. villages with 1,542 police stations. Focusing on women empowerment, the call centre has more than 400 women working who are part of Tech Mahindra’s response centre. The contact centre is powered by a multilingual all-women team who handle over 1,00,000 calls a day. The Society For Human Resources Management (SHRM) India HR Awards recognises organisations that deliver future focused excellence in the field of People Management. 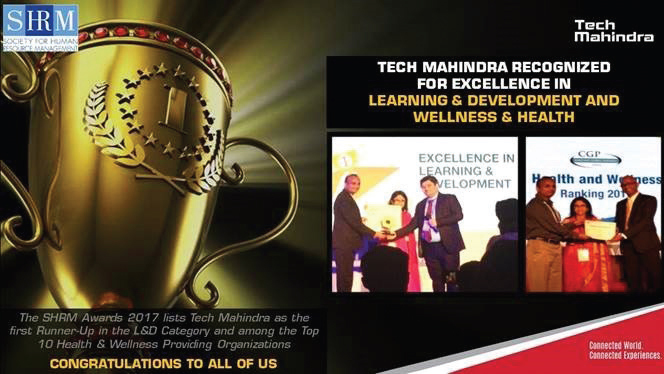 The SHRM Awards 2017 has listed Tech Mahindra as the first runner-up in the Learning and Development category. The Company is also among the top 10 Health and Wellness providing organisations. Rajesh Vasudevan (Senior Vice President – Accounts) receives ‘India’s Most Trusted Financial Services Company’ award on behalf of Mahindra Finance. Mahindra Finance has won the India’s Most Trusted Financial Services Company Award at the India’s Most Trusted Companies Award. The award ceremony took place on September 24, 2017 at the Leela Hotel, Mumbai. Vijay Shivtare, Hon’ble Minister of State for Water Resources & Parliamentary Affairs - Maharashtra Government and Satinder Pal Singh Ahuja, Honorary Consul of Georgia in Mumbai were the chief guests at the event. As Bharat moves towards digitalisation, Mahindra Mutual Fund has aligned its efforts to provide ease and convenience of investing. 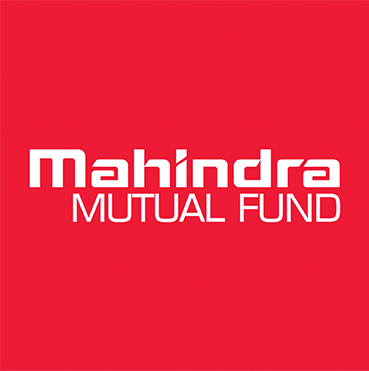 In order to meet the same objective, the Company introduced an online investing platform via its website www.mahindramutualfund.com. It enables opening a new portfolio and investing in Mahindra Mutual Fund schemes in three simple steps. 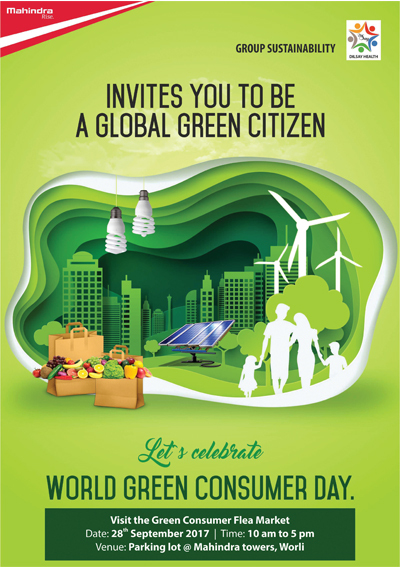 This year, Mahindra Group marked Green Consumer Day with the aim of fostering education about making a difference as an individual towards the environment and reducing carbon footprint. There were a host of initiatives planned and executed across the offices of the various businesses. For instance, at Mahindra Towers, Mumbai, sale of LED lights with green products was organised. Group Sustainability also organised a health camp to mark the occasion. Mahindra Group companies – Mahindra & Mahindra and Mahindra & Mahindra Financial Services Ltd. (MMFSCL) have emerged as leading companies in their sectors on sustainability parameters in the S&P Dow Jones Indices (S&P DJI), one of the world’s leading index providers, and RobecoSAM, an investment specialist focused exclusively on Sustainability Investing (SI). Additionally, for the third time Tech Mahindra has made it to the DJSI World Category. Only three other Indian companies feature in this list. showcasing the rise of the Independence Movement, spanning from 1930-1945 (culminating in the year which also marks the foundation of the Company), bears the Mahindra plaque. With a promise to give wings to the dreams of 150 children, the Swaraj Division inaugurated the Government Elementary School of Sahi Mazra Village on July 20, 2017. The relentless efforts of 12 Esops volunteers was initiated in May 2017. The core objective was to improve the infrastructure and facilities of the deprived government school in order to improve the quality of learning. Proud Fathers For Daughters is an event that celebrates the father-daughter bond and sends out a message that daughters are a source of pride. 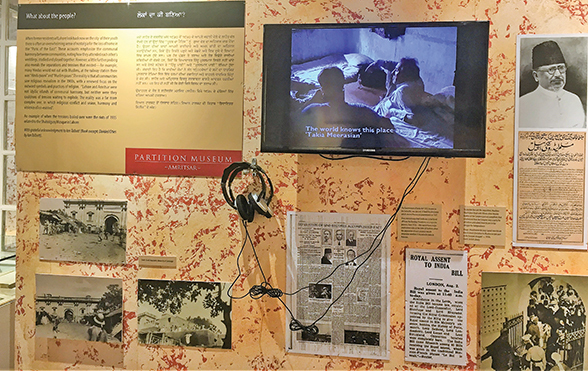 This year, Project Nanhi Kali celebrated the 4th season of Proud Fathers for Daughters on August 5-6, 2017. 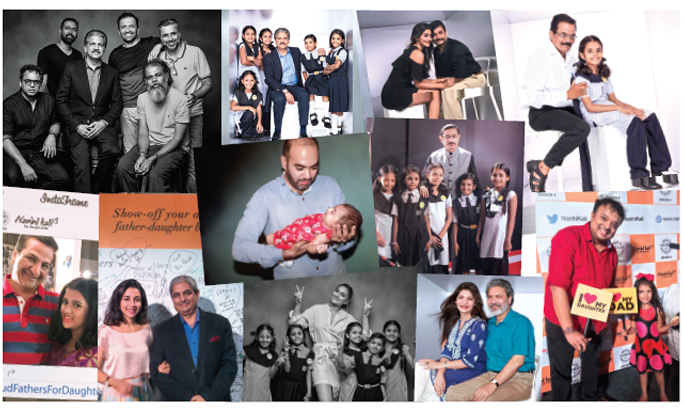 Ace photographers, Atul Kasbekar, Colston Julian, Jaideep Oberoi, Prasad Naik, Suresh Natarajan and Nisha Kutty contributed their talent and time to help Project Nanhi Kali educate 500 underprivileged girls. Apart from spectacular smiling Father-Daughter photos captured at the event, it was a coming together of diverse ages ranging from a proud father holding up his new born daughter to a working professional daughter proudly posing with her octogenarian father. Following its core purpose of enabling people to Rise, Mahindra Rise provided invaluable support throughout the campaign, to reach out to more people, create awareness and drum up registrations as well as at the actual event. The Esops team of Mahindra Research Valley conducted classes for development of Spoken and Written English skills for students of Std. 4 and 5 of St. Mary’s Primary School, Chengalpattu. This is an effort to equip young students with improved communication skills in English, which will aid them in their long-term career gains. In response to the devastating floods in Bihar, Assam & West Bengal the Relief and Rehab committee of Mahindra Group sprang into action. 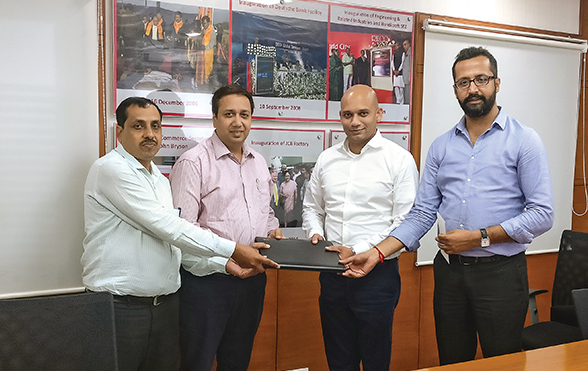 Employees of Mahindra Finance and Auto division dealers of Mahindra were agents of crucial information, who surveyed various locations for the need of the people affected in various districts. Mahindra has distributed 3800 relief kits in 11 districts/camp sites in Bihar alone. In Sitamarhi, the relief team travelled by boat to be one among the first to deliver the relief kits to the village of Bhada Tola that remained cut off for over a week. 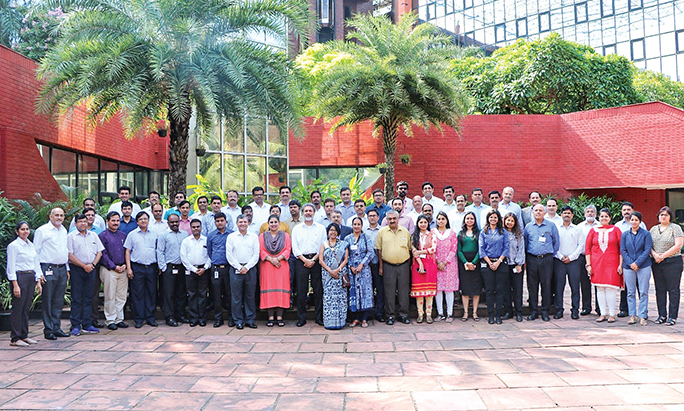 The Esops Champions meet is an annual gathering of those driving Esops projects at sectors across the Mahindra Group. 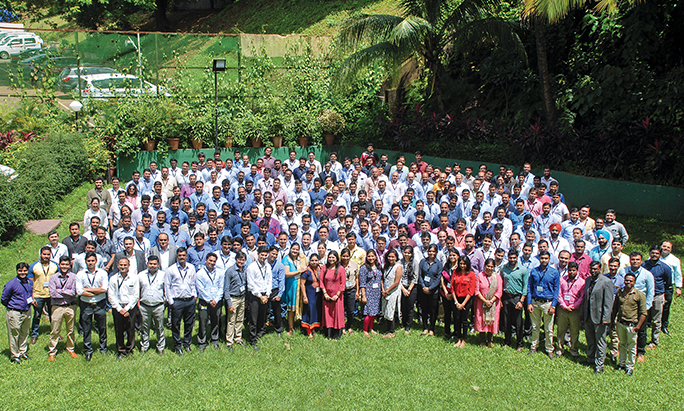 This meet was attended by over 50 Esops SPOCs from across India. Climate change is intensifying disasters, including extreme weather events, storm surges, floods and droughts. It is vital that development strategies incorporate measures to strengthen community resilience through economic development, income diversification and ensuring environmental sustainability. To mitigate the above it is imperative to promote green cover. A lot of deforestation has taken place over the years in Shimla. To increase green cover and replenish the ecological balance, a plantation activity was conducted in liaison with the Forest Department and the local leaders to increase green cover. The Esops team also organised competitions and knowledge sessions with school children to sensitise them about environmental degradation. Students from Government schools - Baldeyan, Kiar Koti and Mashobra participated enthusiastically. Out of all the talented painters, 9 winners were identified and rewarded. The drive resulted in the plantation of 450 trees in nearby places like Manla, Dhani Colony and Mashobra. Students of 3 Government schools in Shimla join MHRIL employees in a sapling plantation drive. The Esops team of Mahindra Agri Solutions Limited (MASL) organised a programme focused on promotion of personal hygiene among school students on August 31, 2017. 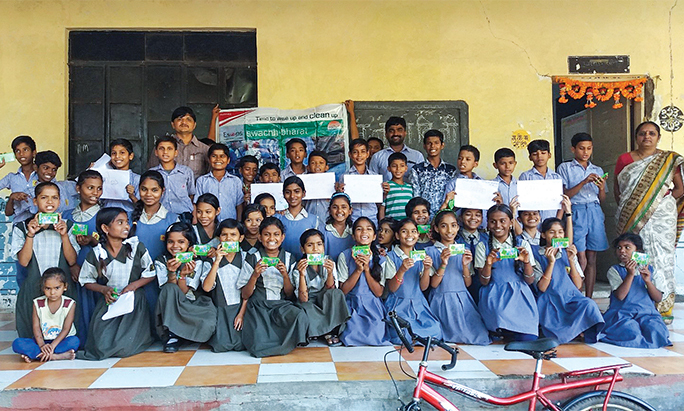 The programme called ‘Thumbs up for Personal Hygiene’ was organised for 30 students of a Nasik Municipal Corporation school. The activities comprised an awareness session on personal health and hygiene, regular hand washing and teeth cleaning and drawings on good habits for daily hygiene. MASL and students of Nashik Municipal Corporation after the event on personal hygiene. 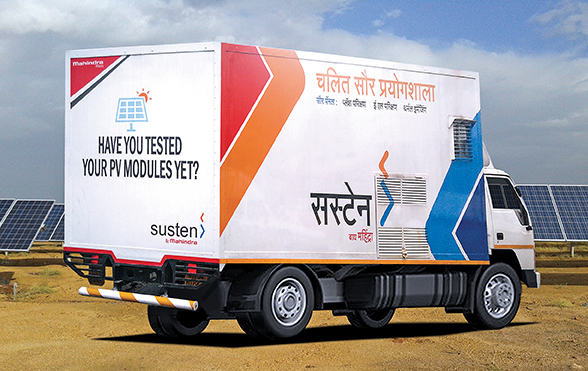 Mahindra Susten launches India’s first Mobile PV laboratory for testing of the Solar PV modules on site. The mobile PV lab, developed in-house has an innovative design, which combines all the key tests required for PV modules in a compact lab. This solution will make world-class testing facilities available to solar asset developers, EPCs and the O&M operators at the location of their own plant. nowand scale into promising new areas. Mahindra Accelo has taken a major step towards mitigating environmental degradation by setting up Cero, India’s first organised vehicle recycling entity. The new brand name Accelo is derived from ‘accelerate’ and aptly expresses the agility within each of its employees to innovate for tomorrow. Mahindra Racing celebrated a commanding double podium in the second race of the inaugural New York City ePrix weekend, the penultimate location of the 2016-17 FIA Formula E Championship. 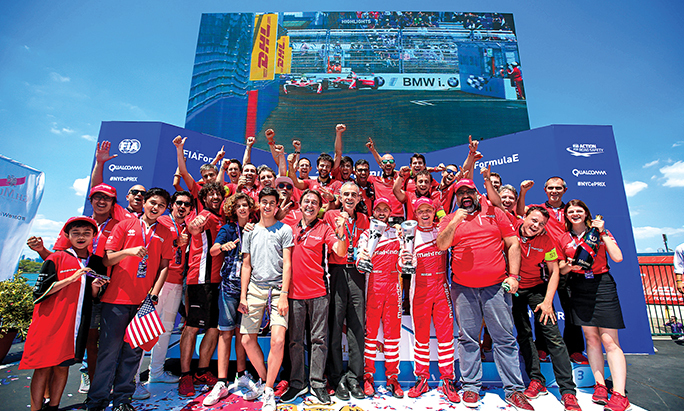 Following the team’s maiden win and double podium last month in Berlin, drivers Felix Rosenqvist and Nick Heidfeld put their mark on the race early on. The duo, driving the all-electric M3Electro race car, both reached Formula E’s unique Super Pole shootout session to start the race from 2nd and 5th place respectively. The Crop Care Division of Mahindra Agri Solutions Ltd. launched ‘TROMPH’ a systemic insecticide for the control of BPH of Rice. The launch of TROMPH marks the beginning of a new era for MASL’s crop care business as it combines Japanese technology and Mahindra’s trusted brand name. The launch witnessed the presence of 250 dealers, distributors and farmers in Punjab and Haryana and approximately 400 dealers, distributors and farmers in Andhra Pradesh. 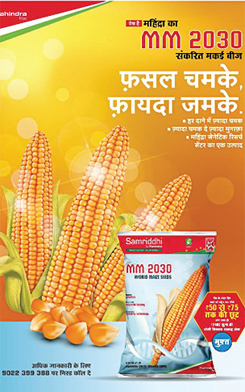 Mahindra Agri Solutions Ltd. launched an integrated marketing campaign to introduce the indigenous R&D product - the MM 2030 corn hybrid seed in Bihar and Telengana. The offering is an advanced product from the Mahindra Genetic Research Centre. It has received an overwhelming response from farmers in the maize belts of India. NuPro PureAll, an automated oil dispenser machine, is Mahindra Agri Solutions Ltd’s in-house innovation. Offering the ‘Promise of Purity’, the machine addresses the perils of adulteration in the commodity purchase of edible oil. 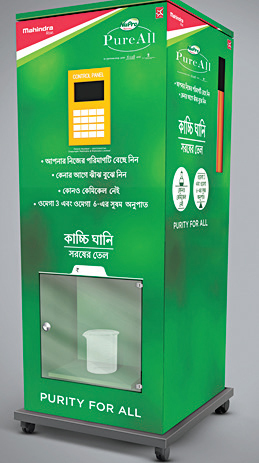 Currently, there are about 14 PureAll machines operational in West Bengal. 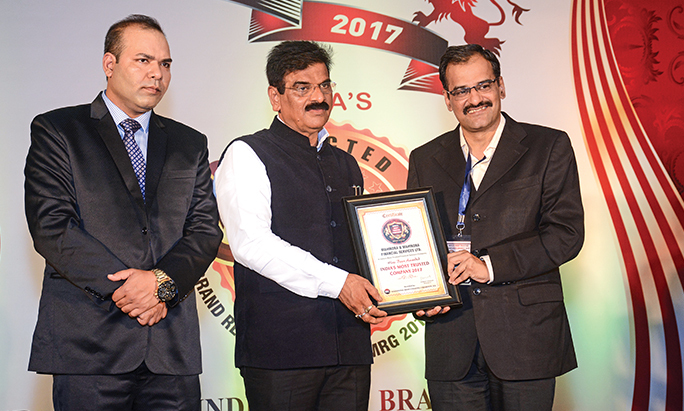 Three Mahindra Group Companies namely - Mahindra & Mahindra Automotive & Farm Equipment Sectors, Mahindra Finance and Mahindra Holidays feature among India’s Best Companies to Work List - 2017. 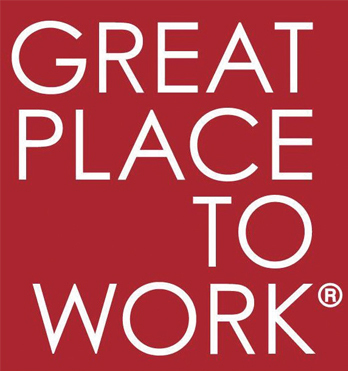 The study was conducted by the Great Place to Work® Institute, the world’s leading institute for workplace excellence and people management practices in partnership with the Economic Times.